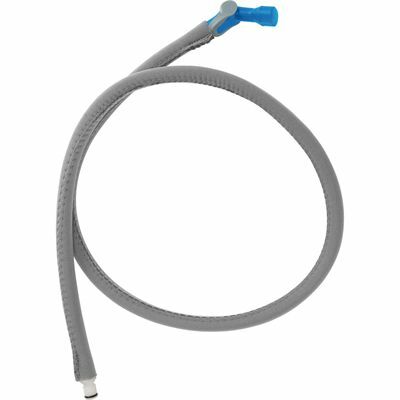 The Camelbak Crux insulated tube is designed for reservoirs featuring the Quick Link system for easy click on and off and uses Hydroguard™ anti-microbial technology to prevent the growth of fungus and bacteria. It offers 20% more water per sip than previous models and boasts a patented Big Bite™ Valve mouthpiece ensuring hands-free hydration. This BPA, BPS and BPF free tube has an insulated thermal sleeve to prevent freezing, as well as to keep your beverage cool in warm weather. for submitting product information about Camelbak Crux Insulated Tube We aim to answer all questions within 2-3 days. for submitting product information about Camelbak Crux Insulated Tube. We aim to answer all questions within 2-3 days. If you provided your name and email address, we will email you as soon as the answer is published. for submitting product review about Camelbak Crux Insulated Tube.